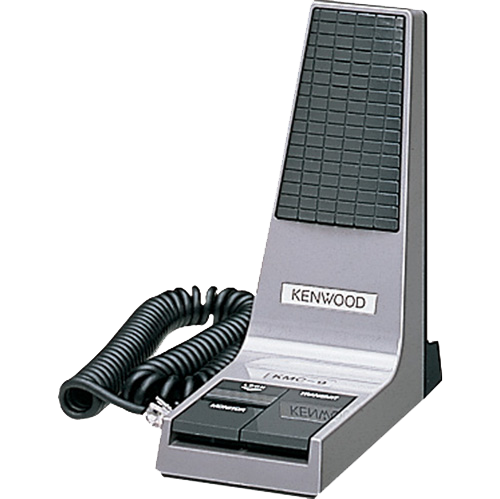 The KMC-45 speaker mic is designed to work in almost any condition. It fits comfortably in your hand and has a large push to talk button making it easy to use with gloves on. This works with the NX-320K, NX-320K2 and the NX-320K3 portables. 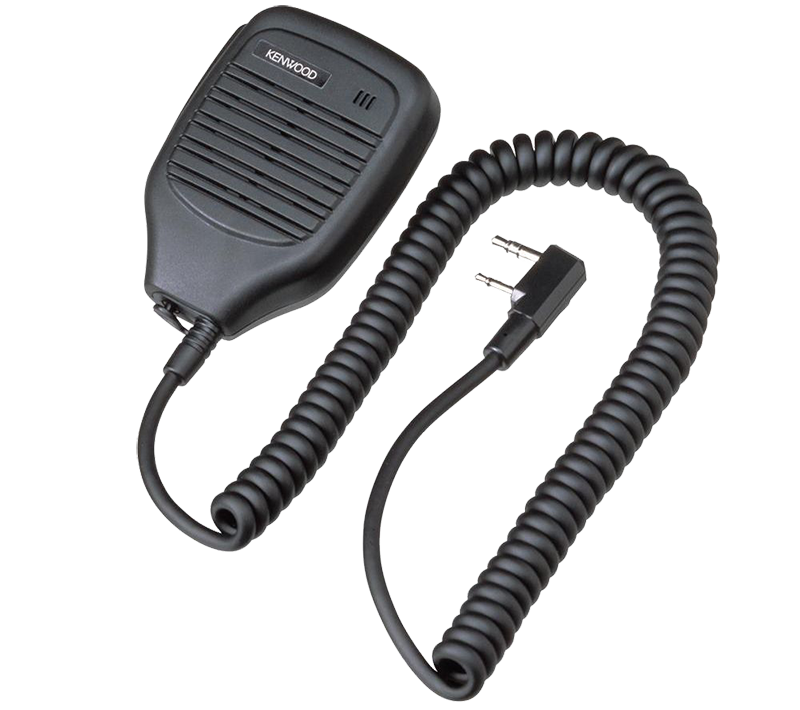 The KMC-21 light duty speaker mic is perfect for theaters, event staff, office employees or anyone wanting a light weight option. It fits more comfortably in people with small hands or someone not using gloves. 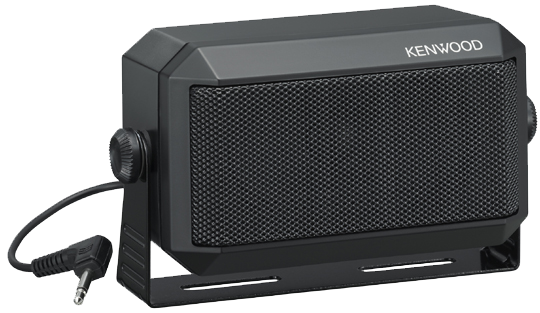 The KMC-41 speaker mic is designed to work in almost any condition. 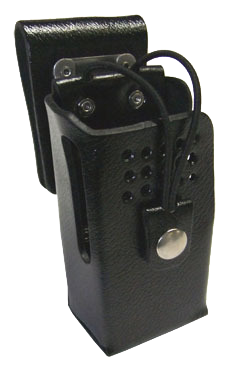 It fits comfortably in your hand and has a large push to talk button making it easy to use with gloves on. This works with the NX-300K portables. 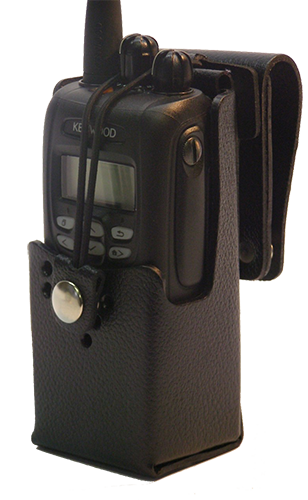 Leather cases provide that added protection in harsh environments. The case is thick enough to protect the portable but is still malleable. With multiple belt clip options this case can fit most any situation. On top of all that, these cases come with a lifetime warranty. 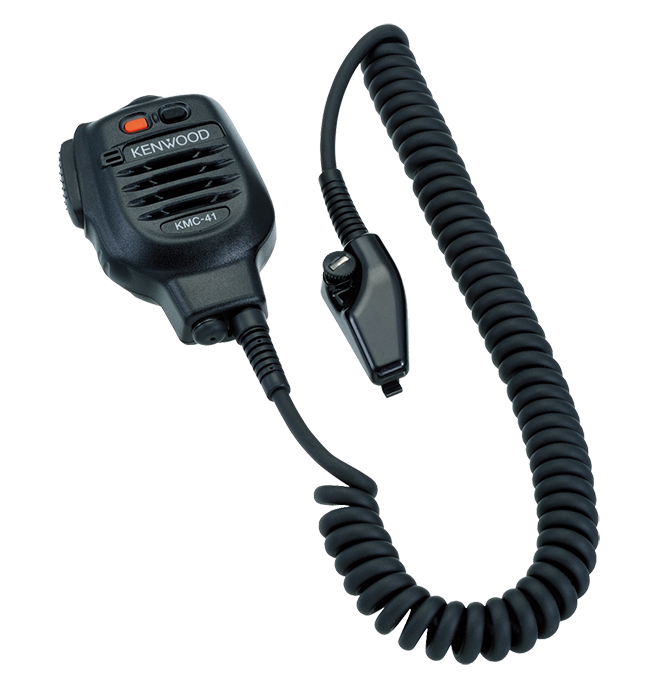 The LMC-1GH01-GC G-hook lapel mic gives you descrete communications while reducing the overall weight. 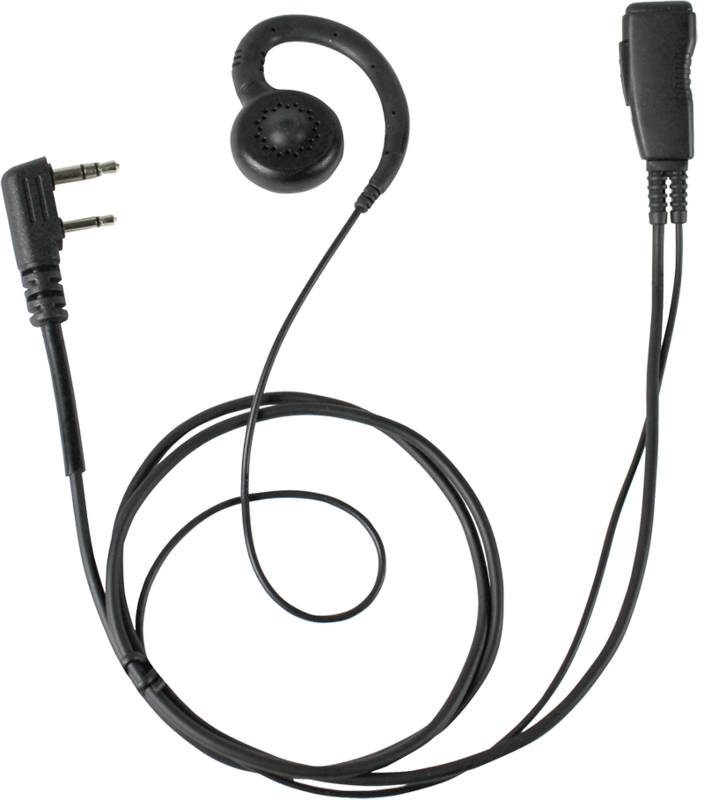 The G-hook fits comfortably over the ear and the speaker rests just over the ear. It can be worn in either the left or right ear. ProClip vehicular chargers and mounts provide a secure and safe charging platform without the need for drilling into your dash. These mounts clip onto your dash and can be removed with no evidence it was ever there. The chargers also protects against overcharging. This works with the NX-320K, NX-320K2, NX-320K3 and the NX-300K portables. 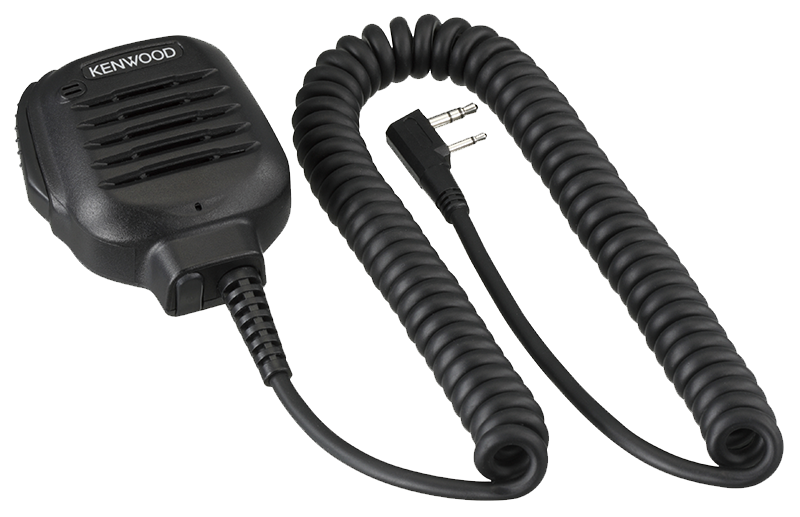 The KMC-9C desktop micropone is a great option for dispatchers. 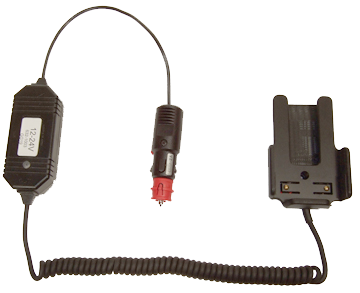 This allows them to simply push a button rather than picking up a speaker mic to talk to thier fleet. Combine this wish a foot switch and a hands free option is born. This works with the NX-800KCS control stations. 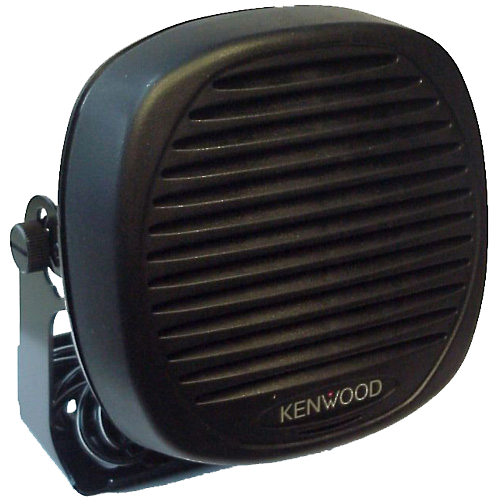 In loud environments or when multiple people need to hear the radio an external speaker is a great option. These speakers can be mounted in almost any location for optimum clarity. You can choose if you wish to have both the speaker on the radio and the external speaker live or just the external speaker. This works with the NX-820HGK, NX-800K and NX-800KCS.